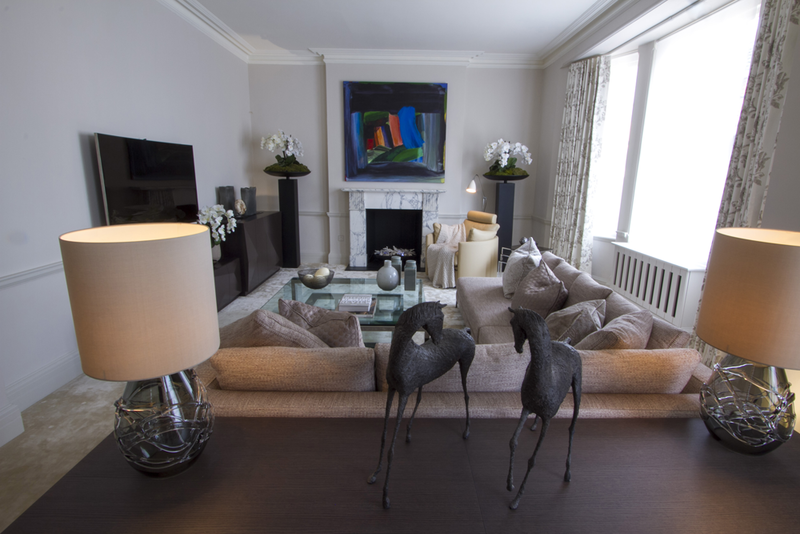 Our brief was to keep this apartment in Mayfair light and airy in a contemporary style whilst maintaining an air of tranquility. 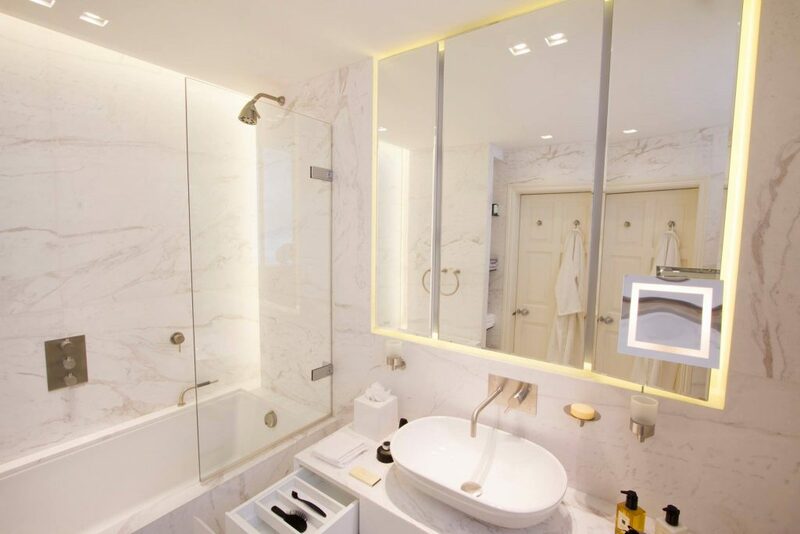 The original property was tired and dark and the bathrooms were very dated. 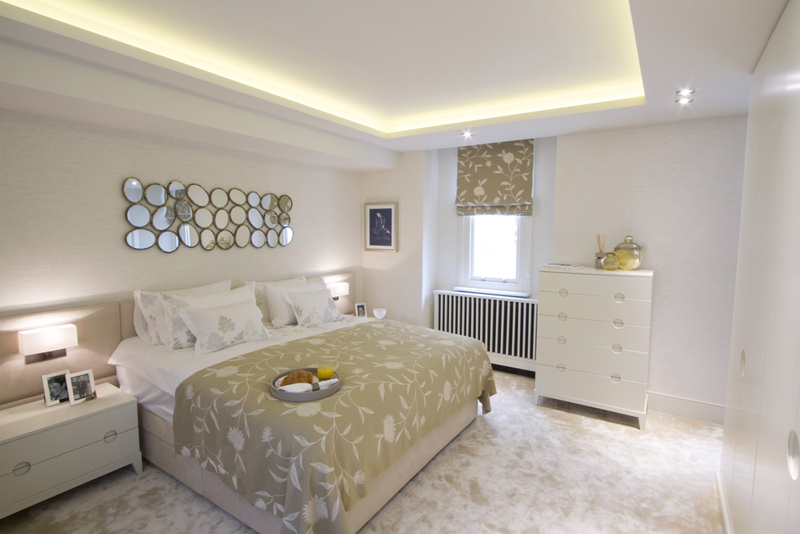 Our brief was to keep the apartment light and airy in a contemporary style whilst maintaining an air of tranquility. 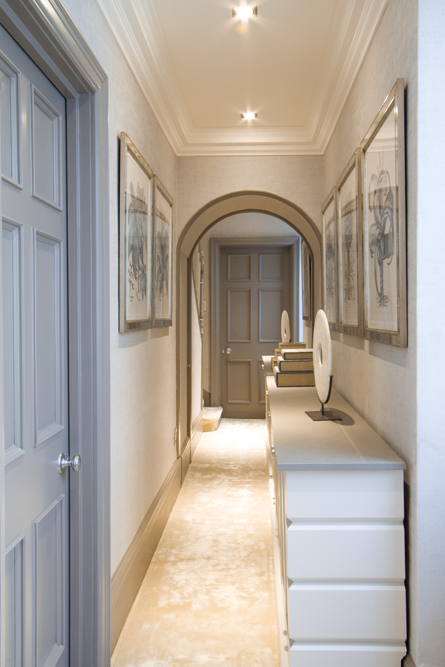 We kept to neutral tones and textures throughout. 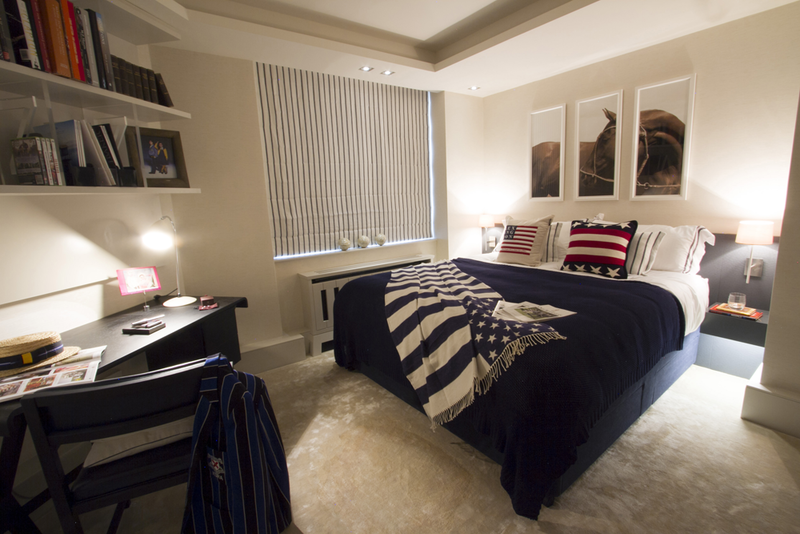 The bedrooms were very dark and gloomy. 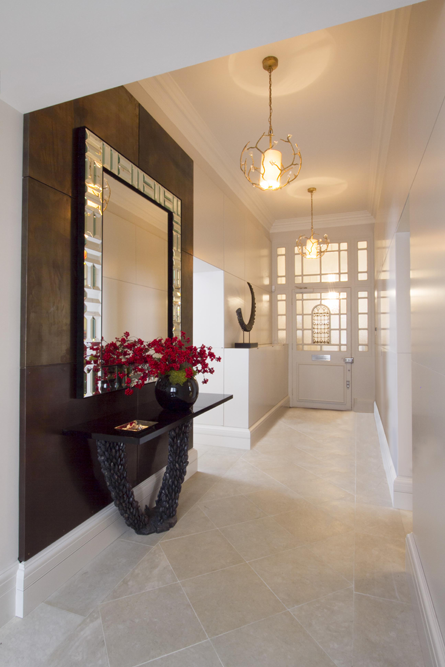 We overcame this by creating a coffer and lowering sections of the ceilings. 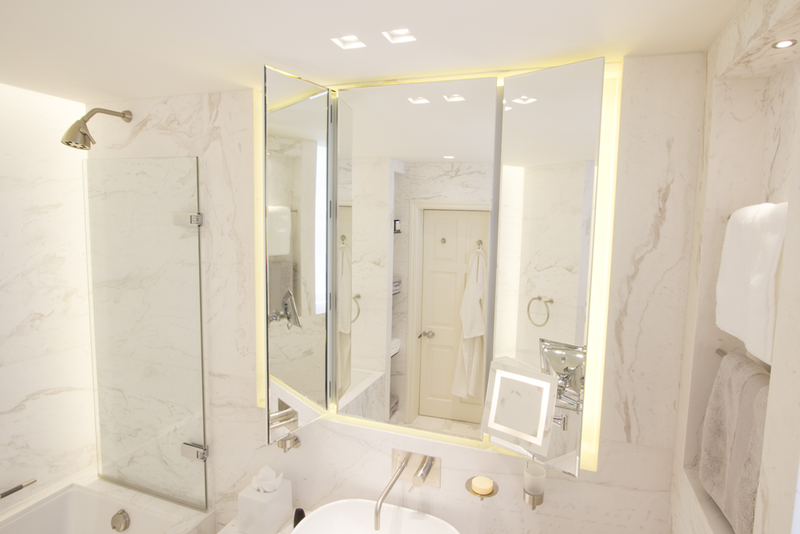 We then illuminated them with LED lighting and used square recessed downlighters around the perimeter of the newly formed ceiling, creating for more light for the clients. 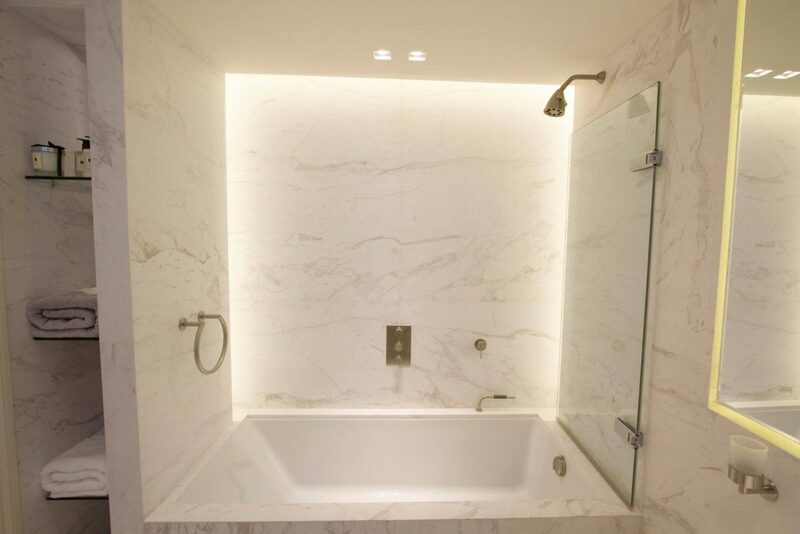 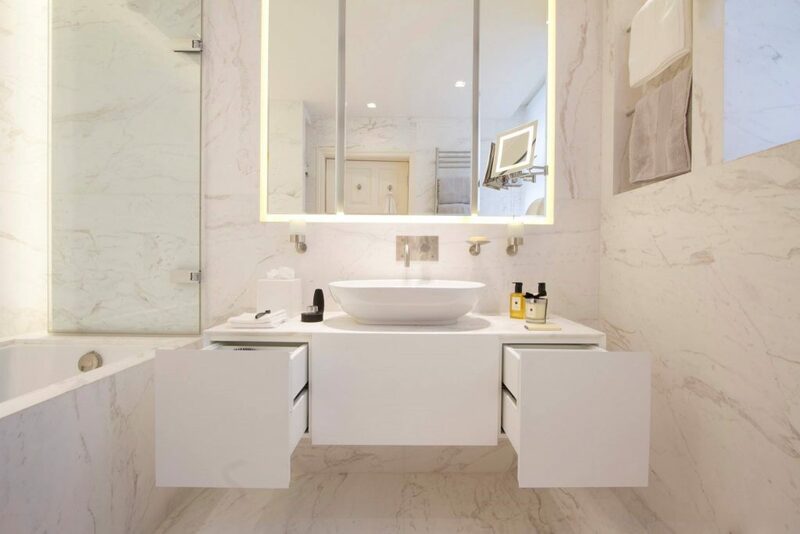 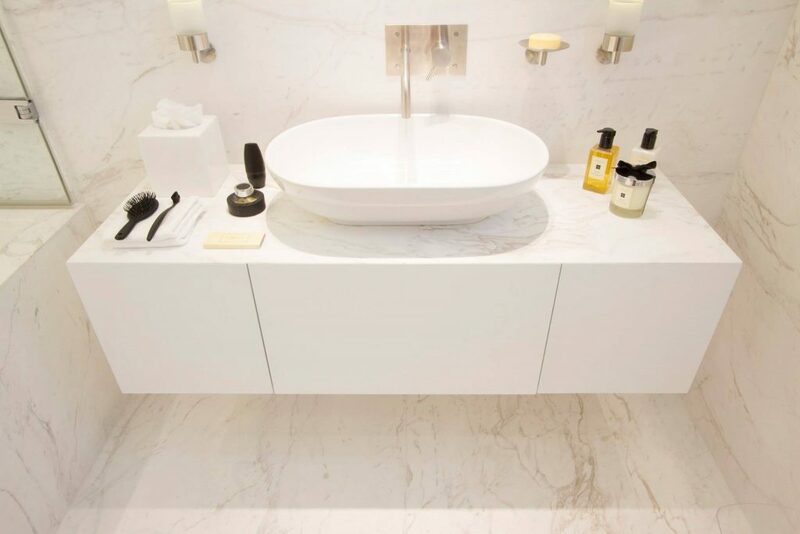 In order to maintain the simplicity in the bathrooms we used Volakos honed marble in slab formation. We combined the stonework with stainless steel taps and accessories. 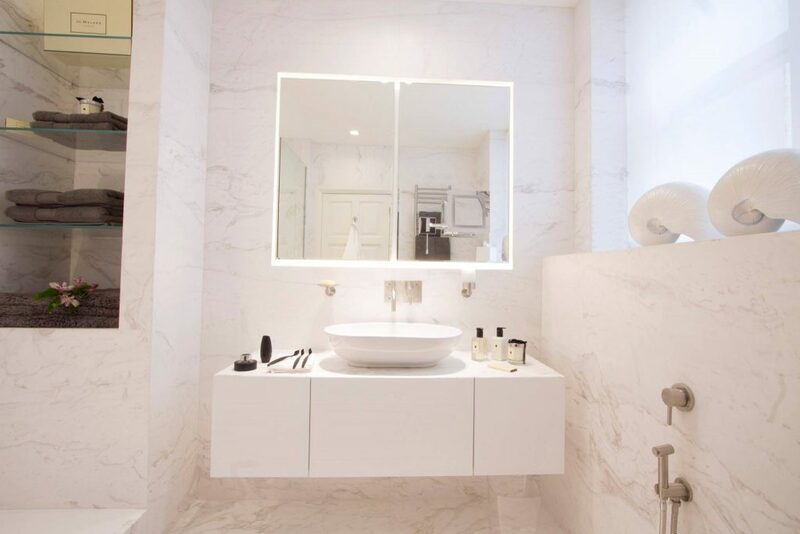 The cabinets and vanity units we designed according to our client’s specific requirements and sprayed matt white to keep the contemporary feel. 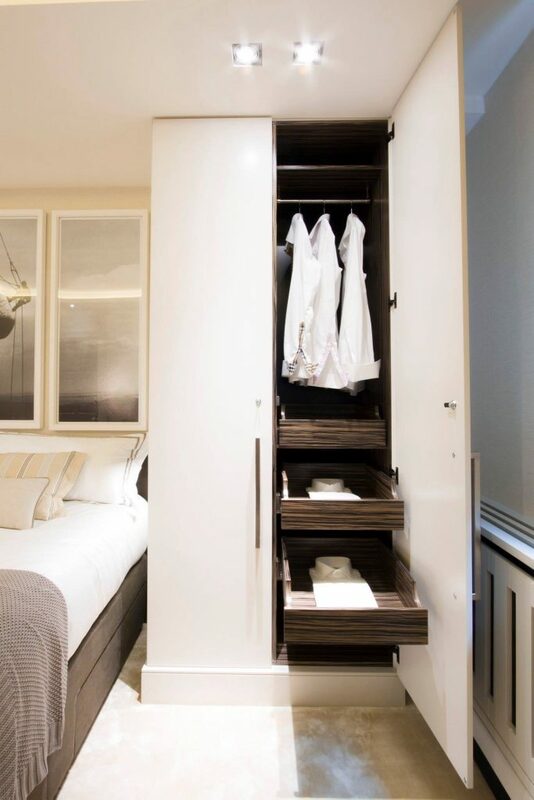 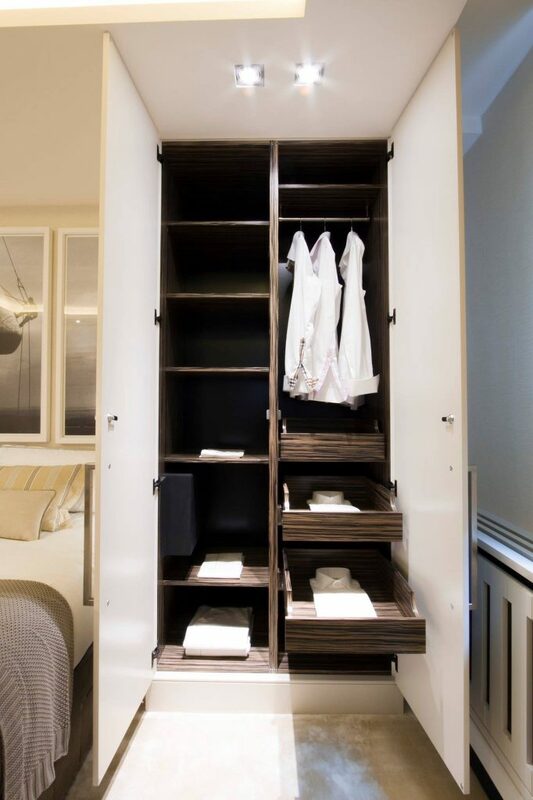 The bespoke wardrobes were lined with stunning Zebrano interiors giving a wonderful back drop for our client’s clothing. 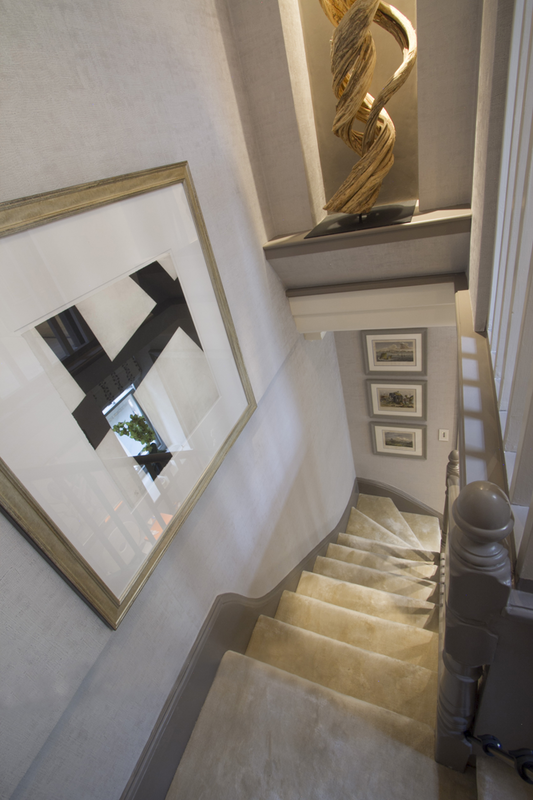 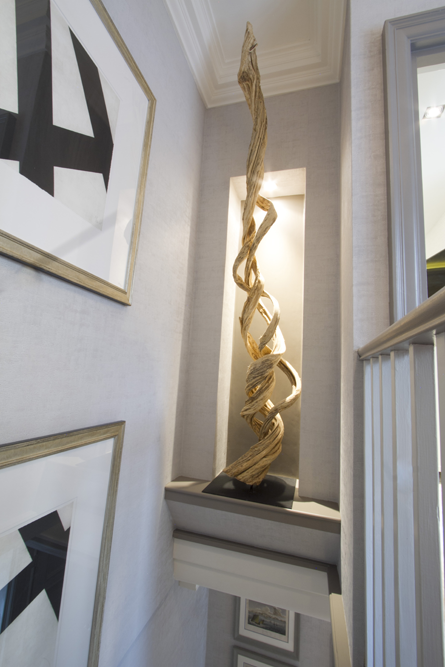 The hall has a magnificent feature of a beaten brass-paneled section of wall highlighted by a wonderful Deco Style mirror and amazing Mussel console table. 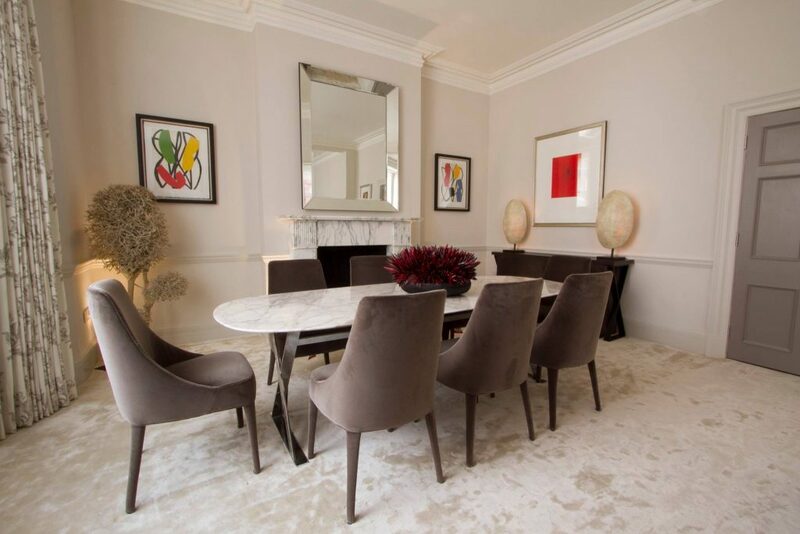 The main furniture in the living and dining areas were designed by Antonio Citterio and the Villiers Brothers. 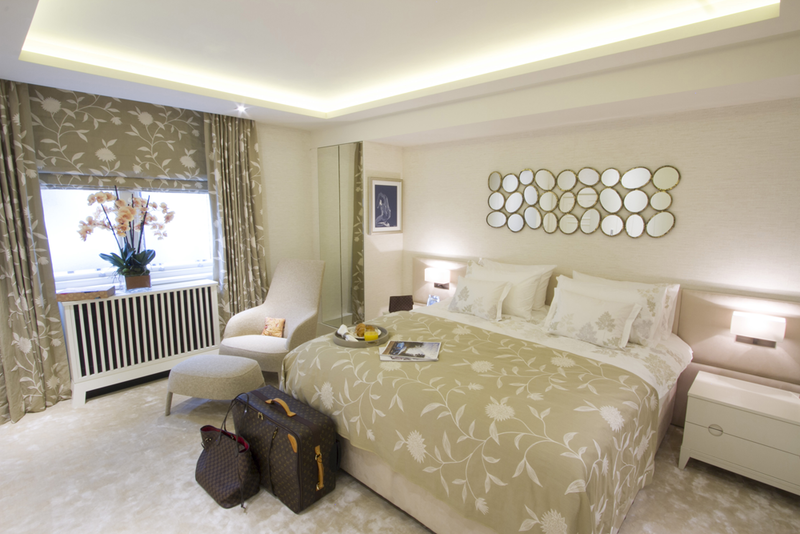 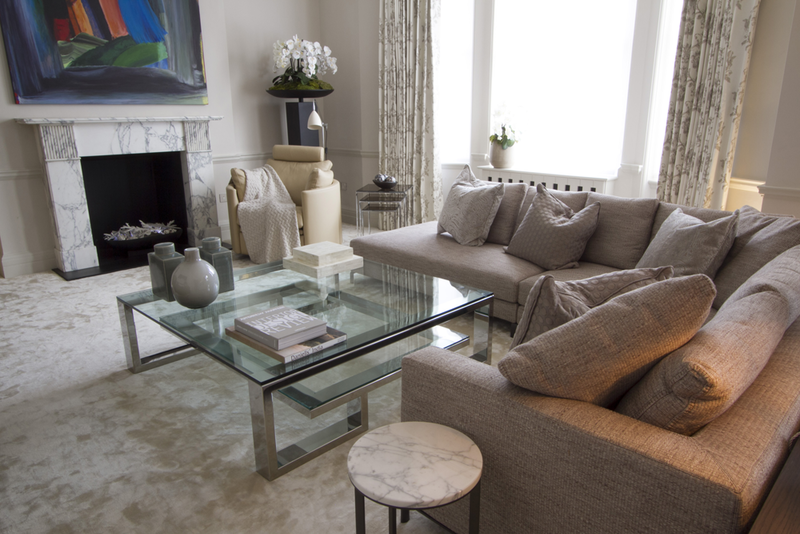 We designed the radiator covers and Audio/video units to complement the furniture. 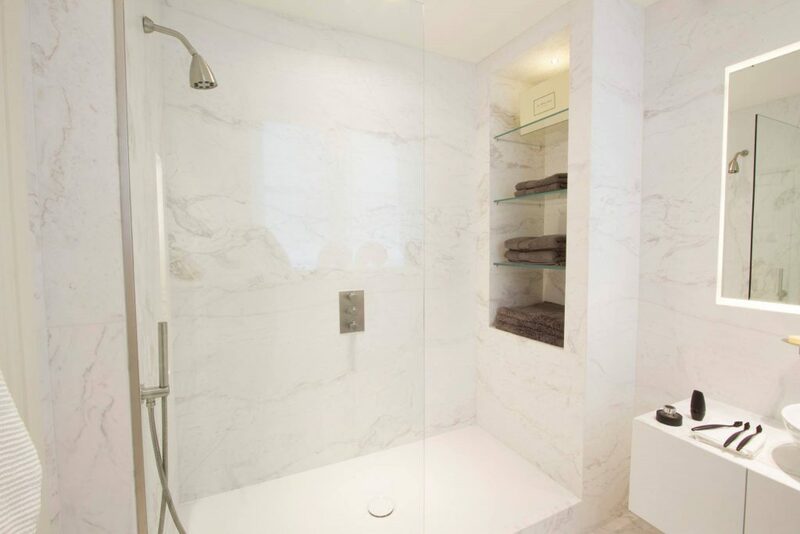 The whole apartment is air conditioned and supports the latest in home automation.